Special Offer : 10% Discount For Groups Minimum Number Of People 6. Confluence Of Two Rivers Indus And Zanaskar10% Discount For Groups Minimum Number Of People 6. Drive towards Leh via Rohtang Pass. 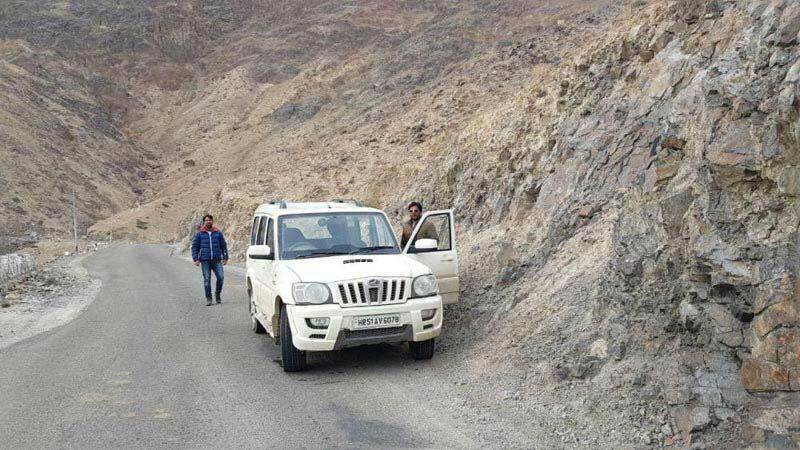 Enjoy the drive through Himalayas and probably reach leh at evening. Check in the hotel at Leh and rest for acclimatization. After breakfast, proceed to Shey it was the ancient capital of Ladakh and even after Singee Namgyal built the more imposing palace at Leh, Thiksey is one of the largest and most impressive Gompa. There are several temples in this Gompa containing images; it also houses a two storied statue of Buddha which has the main prayer hall around its shoulder. proceed to Hemis which is dedicated to Padmasambhava, what a visitor can observes a series of scenes in which the lamas, robed in gowns of rich, brightly coloured brocade and sporting masks sometimes bizarrely hideous, parade in solemn dance and mime around the huge flag pole in the centre of the courtyard to the plaintive melody of the Shawn. The moan of the eleven feet horns, the boom of drums and the clash of Cymbals. Hemis was found in the 1630's by Tsang - ras - pa under the royal patronage of Singe Namgyal, Hemis is the largest and richest of the Ladakh Gompa. It nestles into the mountain side a little way up a glen in the mountains of Zaskar range. Overnight & dinner at Leh. After breakfast drive to Pangong Lake via Changla, Pangong Lake Circuit This route takes the past picturesque villages of shey and Thikse, and turn off the Indus valley of Chemrey and sakti. The ladakh range is crossed by the Chang - lha passes 18,000 feet/ 5,475mtrs which despite its great elevation is one of the easier passes, remaing open for much of the year even in winter, apart from periods of actual snowfall. Tangse, just beyond the foot of the pass, has an ancident temple.0/n & dinner at Hotel. After breakfast transfer to Leh. On arrival check in to the Hotel. After Lunch time free at leisure. Dinner and overnight stay at Hotel. On day 3, post an early breakfast at around 08:00 AM, begin your road journey to Nubra Valley via the world - popular Khardungla Pass. At an altitude of 18360 feet, it is one of the highest motorable passes. As you reach the valley, set your camps at the assigned location. Later on, you visit the silver sand dunes near Hunder village. Hop onto a double humped Camel for a memorable camel safari around the place. The next visit is to the villages of Diskit and Hunder (80 km round trip / 6 - 7 hours). The road trip in this region is a beautiful one. These places own monasteries and hot springs. Get a sneak - peak into the lifestyle of the locals. Stay overnight at the camp. Today, leave the valley early morning after relishing sumptuous breakfast. The mornings here are extremely mesmerizing. Thereafter, visit the tiny yet beautiful Yarab tso Lake, also referred to as the hidden lake. This crystal clear lake is bounded by barren yet beautiful surroundings. After sightseeing, begin your drive back to Leh via Khardungla pass. After arrival, check - in at a hotel. Spend the evening by enjoying leisure walk in the Leh market. Stay overnight in Hotel at Leh. 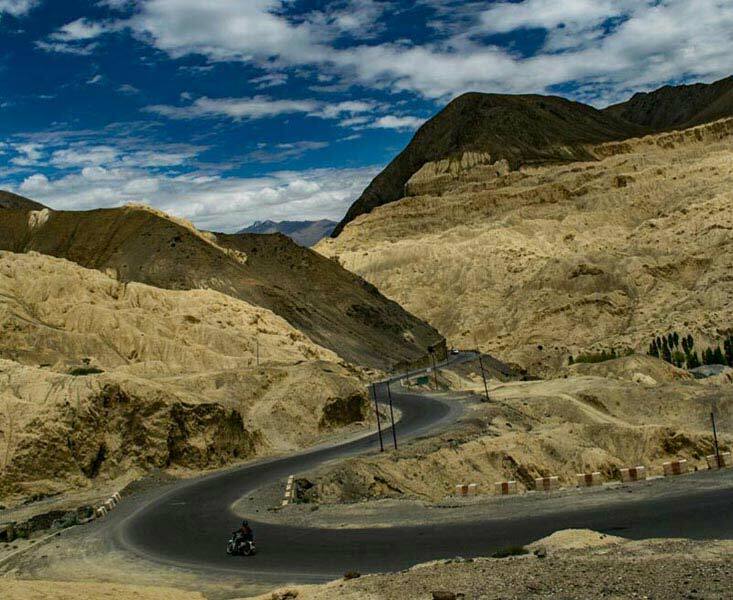 The 7th day of the tour, begin driving westwards of Leh to visit Alchi Monastery. The Buddhist monastery, Alchi Gompa was founded between 958 - 1055 AD. The complex is placed on the banks of River Indus. One of Ladakh's most important Buddhist centers of learning, this monastery houses some old miniature paintings. 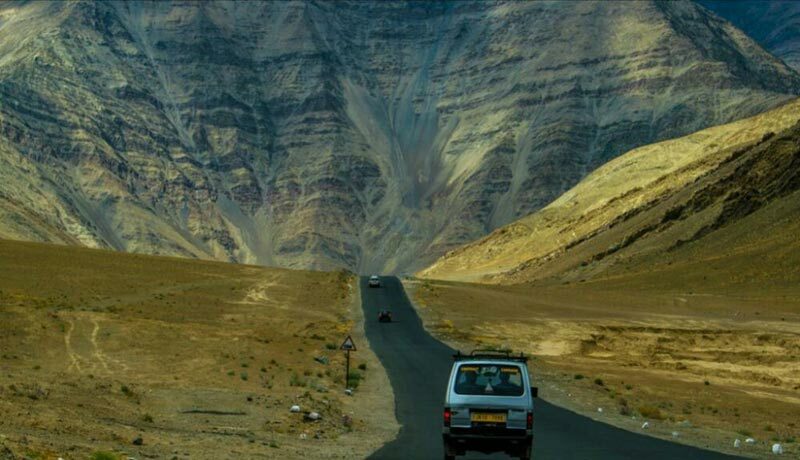 On the way, drive the Magnetic Hill - one of the wonders of the Himalayas and later halt to click some pictures at the confluence of Rivers and Indus in Nimu. Thereafter, continue to the monastery. And back to leh. Early breakfast and get ready to drive towards Manali. "Tour Ends at Manali with great Memories"